Yesterday I shared how I am taking stock of my life, and shifting my priorities to align better with what matters most. Namely, Who matters most, and His priorities. I realized that in order to make the space I needed to spend more time with my loved ones and where I feel He wants me to invest my abilities and gifts, I need to both change and make changes. But I won’t be doing them alone. My hubby is in agreement with some of what I know to change in the immediate future, and he too has peace with the decisions we made together. Making our relationship and our family more our daily priority. We are choosing to invest in one another in a new way, and keeping our love on on a more consistent daily basis. 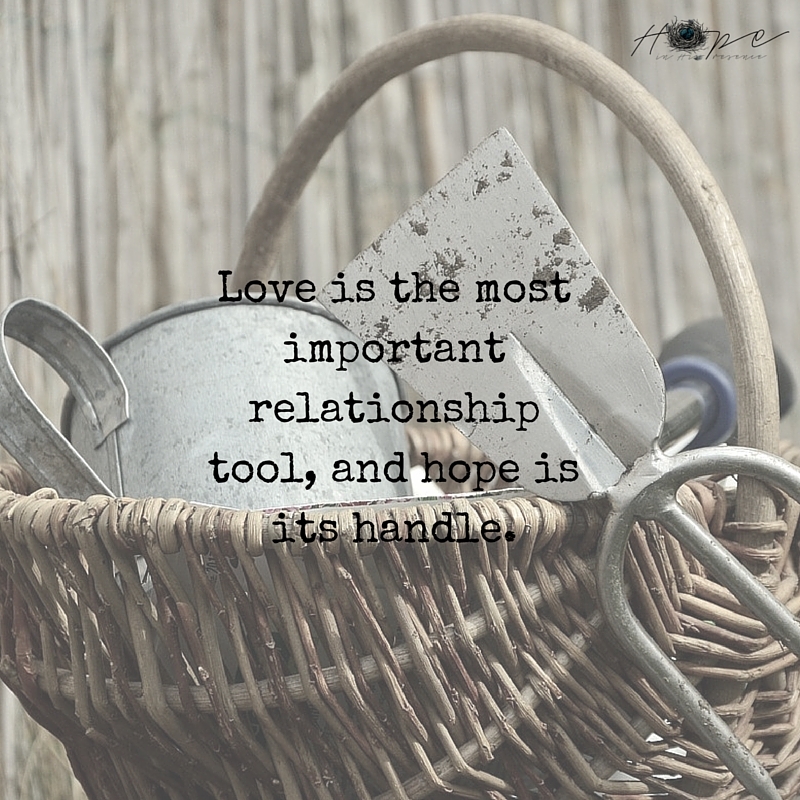 Love is the most important relationship tool, and hope is its handle. This means we will choose to love one another even when we let one another down or react out of pain or fear. We will choose to hope our way through the hard seasons. 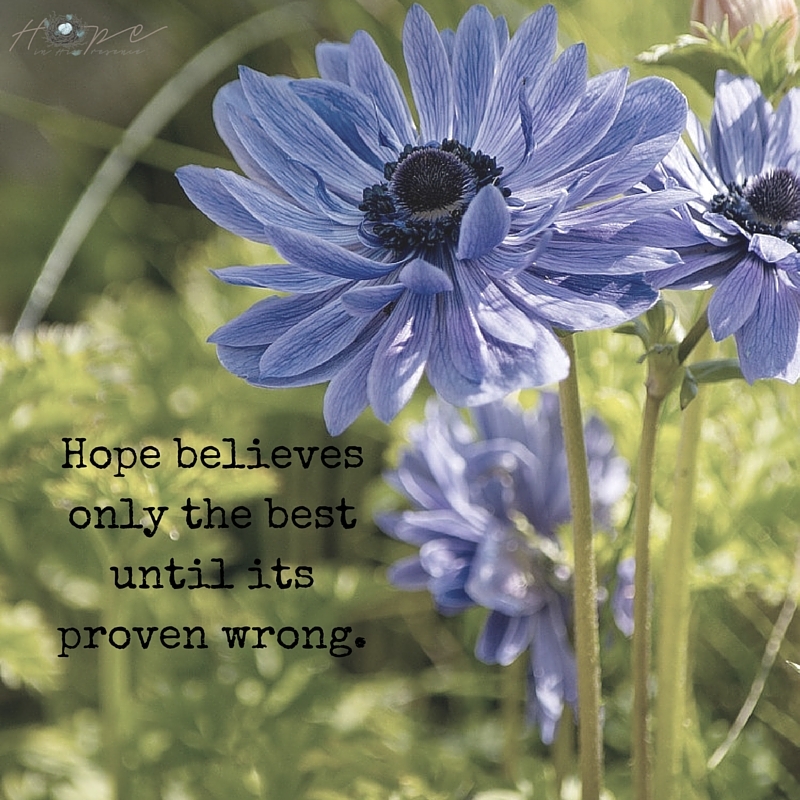 Hope actively supports, encourages and spurs its loved one to become their best, do their best and love their best. By responding in love instead of anger, we diffuse the enemy’s attempt to divide us. By encouraging, we fan to flame the gifts God intended to be increasingly used in our loved one. By receiving their love for us, we can show them even more honor by loving them as God does. Sometimes love lays down its right to be right, and simply loves. Without expectation or reciprocation. Without judgment or anger. Love laid down His life on the cross for our freedom, and when we lay down our lives to bring freedom and new life into a relationship…love shows up in a fresh way. 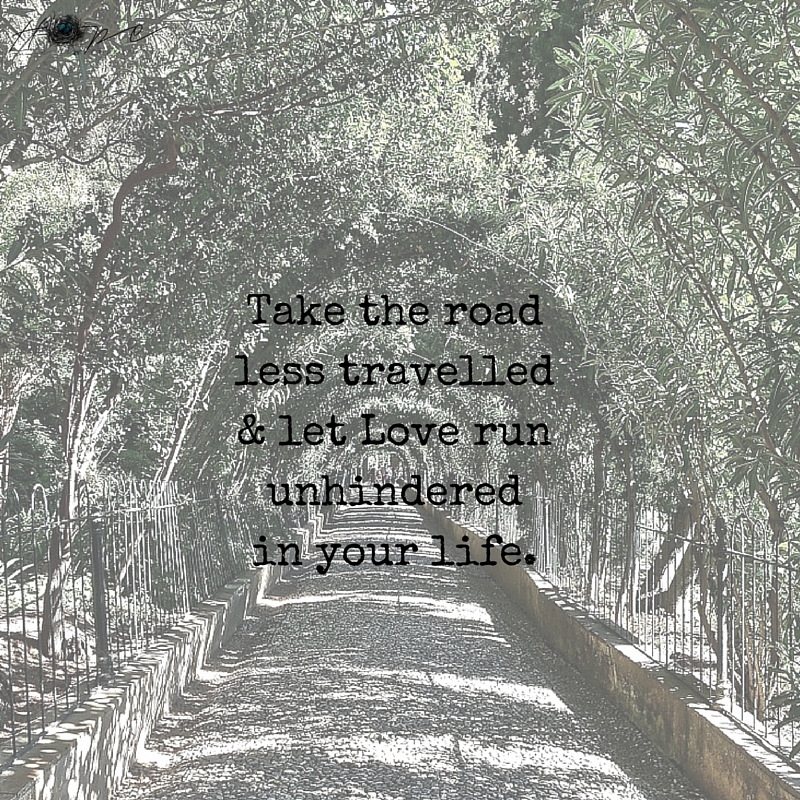 In this day and age where disposable has become prioritized, join me in taking the road less traveled. 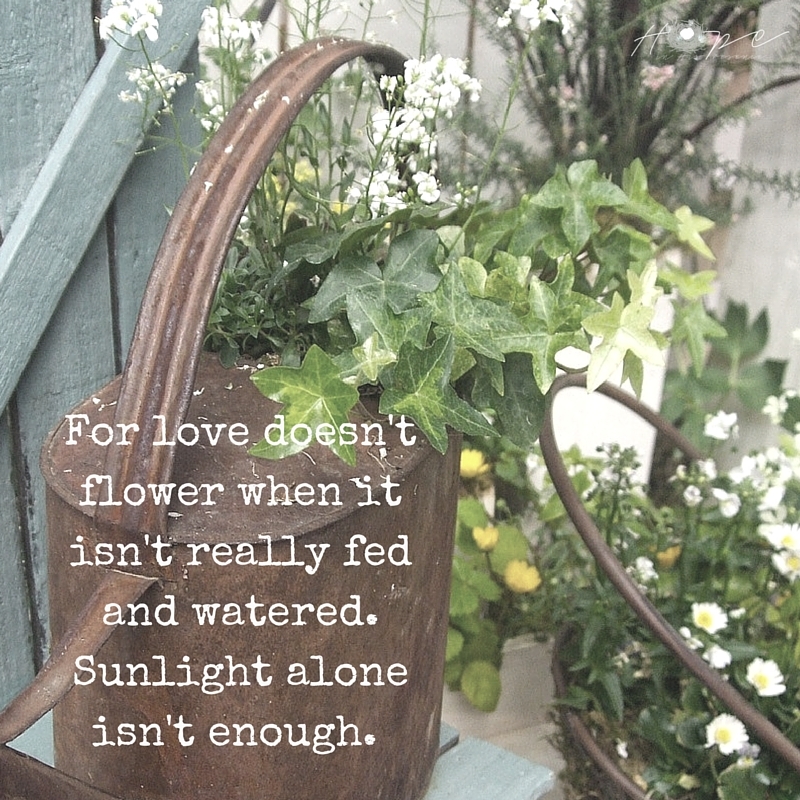 Let Love be your guide, and Hope be your anchor as you invite God to reveal what He had for you to change or put into place to let Love run unhindered in your life.